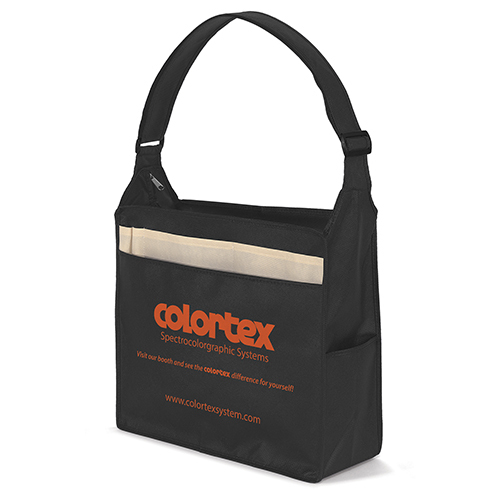 100 GSM premium non-woven polypropylene featuring zippered closure, 2” wide by 52” long adjustable shoulder strap, document pouch, 2 contrasting front pockets, 2 contrasting pen pockets, utility pocket on each gusset, and a plastic bottom insert. 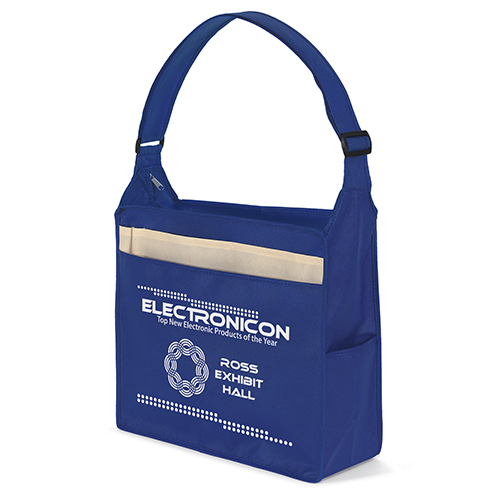 Transport Carry-All, is a fashionable idea for your next trade show. 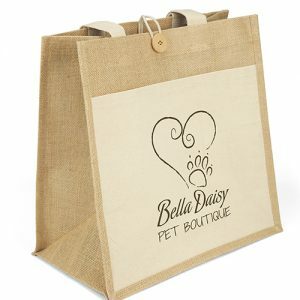 These wholesale reusable bags are 100 GSM premium non-woven polypropylene featuring zippered closure, 2” wide by 52” long adjustable shoulder strap, document pouch, 2 contrasting front pockets, 2 contrasting pen pockets, utility pocket on each gusset. 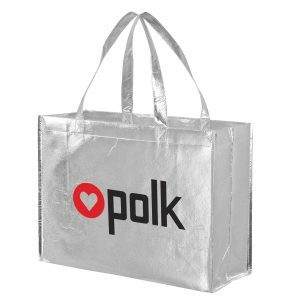 See all of our other reusable bags. 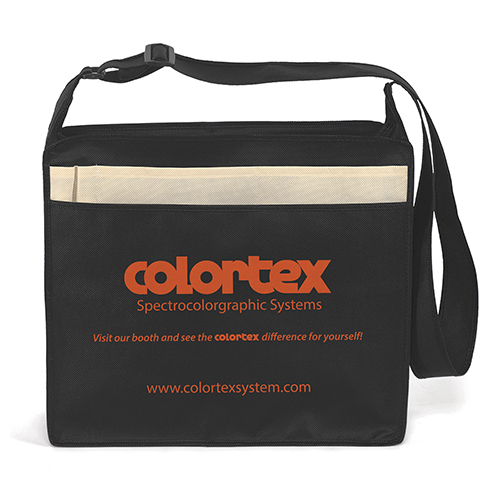 Transport Carry-All, is a fashionable idea for your next trade show. 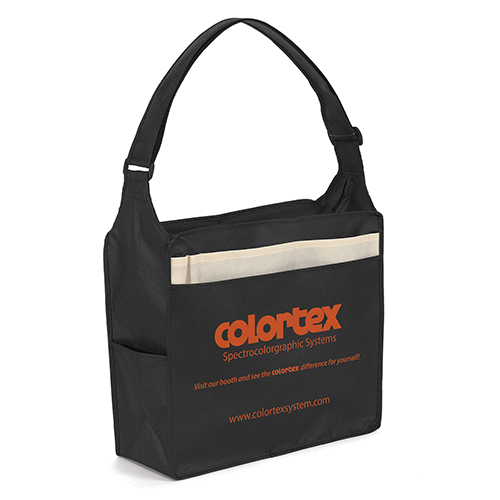 These wholesale reusable bags are 100 GSM premium non woven polypropylene featuring zippered closure. 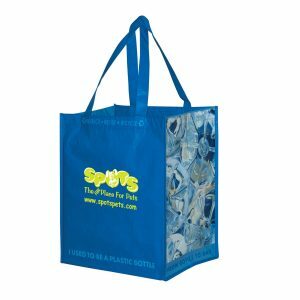 See all of our other reusable bags. 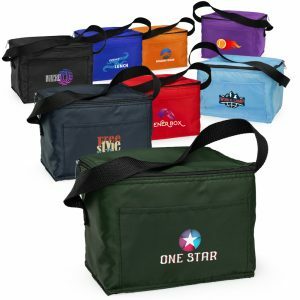 See our complete list of promotional products here.